Ask any Baltimore local and they'll agree there are a few things you simply have to do during your stay here. From chowing down on steamed crabs to can't-miss landmarks, here are some of the things you shouldn't leave Baltimore without doing and seeing. Baltimore has more than 225 neighborhoods, each with their own personality. Exploring them all while on the trip to the city—or perhaps even in a lifetime—would be impossible, but there are a few well-known neighborhoods that are perfect for a day or night on the town. One such neighborhood is Fells Point, a neighborhood famous for its maritime past that has more than 120 pubs (along with plenty of restaurants, coffee shops, music stores, boutiques, and more). There's also Federal Hill, known for its nightlife and the Cross Street Market, and Hampden, an electric neighborhood known for its restaurants, bars, shops, and small-town atmosphere. Baltimore is world famous for its crab houses, and getting some friends together to pick fresh crabs is a Baltimore tradition. Don't know how to pick crabs? Never fear, the link above will help you find the best crab spots. Other Baltimore food specialties include pit beef, lake trout, Berger cookies, and snowballs, which have their origins in Baltimore. Although it hasn't been brewed in Baltimore for years, National Bohemian (known in Baltimore as Natty Boh or in some parts simply as National) is still the beer of choice in Charm City. While visiting, you'll come to know the beer's mascot, Mr. Boh, a one-eyed, handlebar-mustachioed caricature who graces t-shirts and advertisements across the city. Local breweries available on tap across the city include Heavy Seas, Union Craft Brewing, and DuClaw. Baltimore's Inner Harbor is a historic seaport that has been turned into a tourist attraction. Known as one of the models for post-industrial waterfront redevelopment, some of the attractions around the water include the National Aquarium, Harborplace, Maryland Science Center, Power Plant Live!, Port Discovery, several historic ships, and more. The Inner Harbor is also within walking distance of Oriole Park at Camden Yards and M&T Bank Stadium. The Star-Spangled Banner, the National Anthem of the United States, was written by Francis Scott Key after witnessing the bombardment of Fort McHenry. Today, visitors can stop by the star-shaped Fort McHenry National Park to learn more about the storied history of the War of 1812. 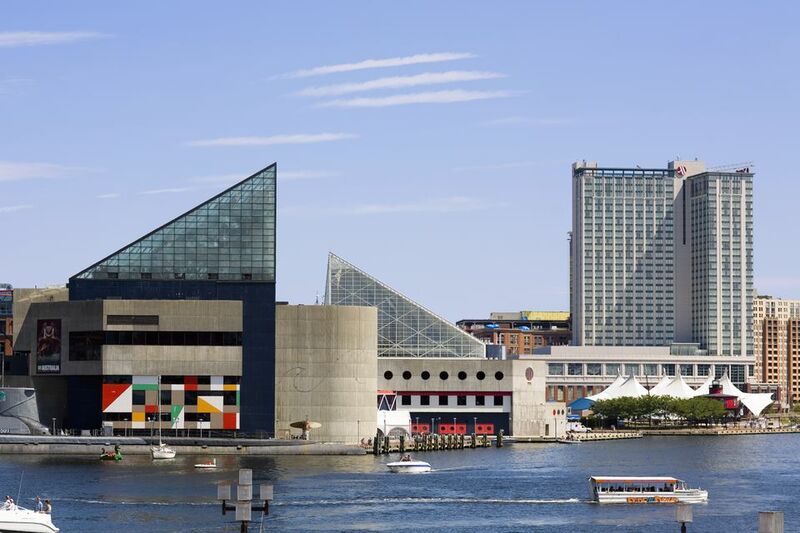 In addition to several world-class art museums—including The Baltimore Museum of Art, the Walters Art Museum, and the American Visionary Art Museum—Baltimore has a tight-knit community of artists. Consider stopping by one of the many art galleries in Baltimore, catching a theater production or a movie at the historic Charles Theater or checking out the workshops and programs at The Creative Alliance at the Patterson, a non-profit community arts group. If you visit during summer, you can't miss Artscape, the largest free public arts festival in the country. Year-round, Baltimore has a whole host of annual events and ethnic festivals. From Preakness to the Polish Festival, or the Great Halloween Lantern Parade to the Greek Folk Festival, nearly every day is filled with one activity or another. There are also many monthly discounts and free events, including gallery tours and discount museum admission days, worth looking into.